HISPANIC-AMERICAN HISTORY - LATINO HISTORY - THE HISTORY OF LATINOS AND HISPANIC AMERICANS - A TIMELINE OF HISPANIC HISTORY - THE LATINO HISTORY TIMELINE . . . and other great subtitles to help search engines and readers locate us! 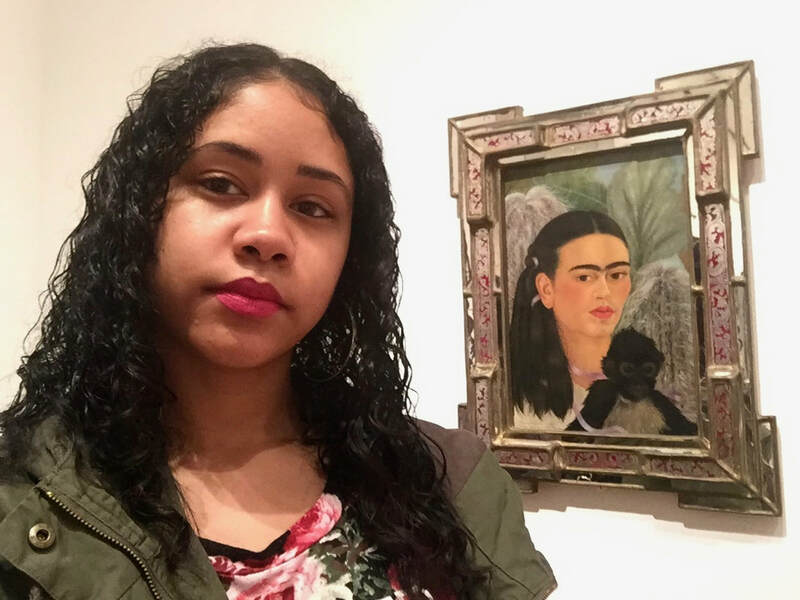 “Fulang-Chang and I” is a 1937 self-portrait by Mexican modernist painter Frida Kahlo, with her pet monkey, Fulang-Chang. The painting is now part of the permanent collection of the Museum of Modern Art in New York City. 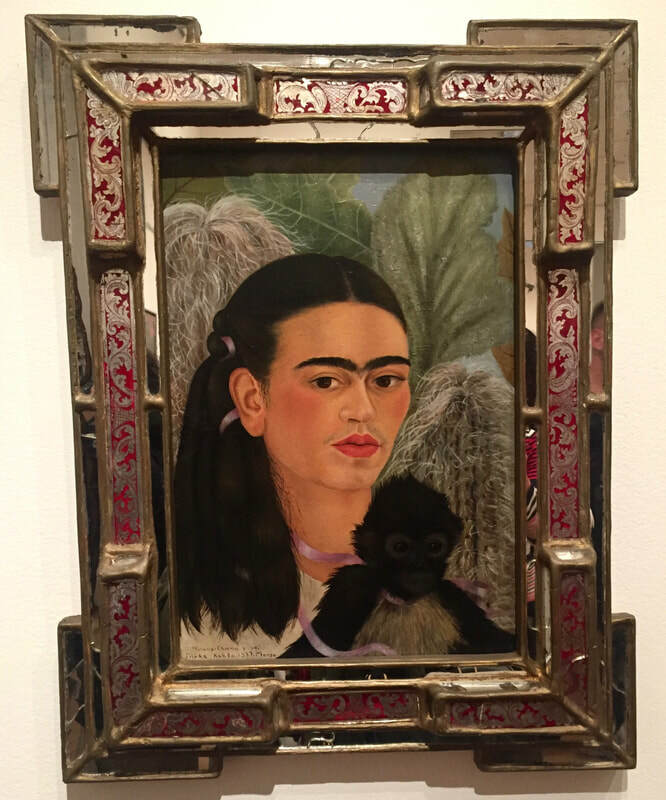 Kahlo (1907-1954) lived a life of misfortune. As a child, she was disabled by Polio, and at the age of 18, she was in a car accident that left her physically pained for the rest of her life. Art became the escape from her illnesses. “I paint myself because I’m so often alone and because I am the subject I know best,” she once said. ​“Fulang-Chang and I” depicts a sad part of her life. Unable to conceive children, she had pet monkeys and other animals which she valued deeply and often became the subjects of her paintings. Later, when Khalo gave this painting to her close Mary Skylar, it was attached to a mirror – so that Sklar could see the two friends together. Although her life wasn’t full of happiness and serenity, it brought about great art that catapulted her into an important figure in modern art.